Do you run a business in North Warwickshire? Whatever stage you're at in your business journey our team of advisors are happy to help you get the right information when you need it and best of all, the support we offer is completely free! 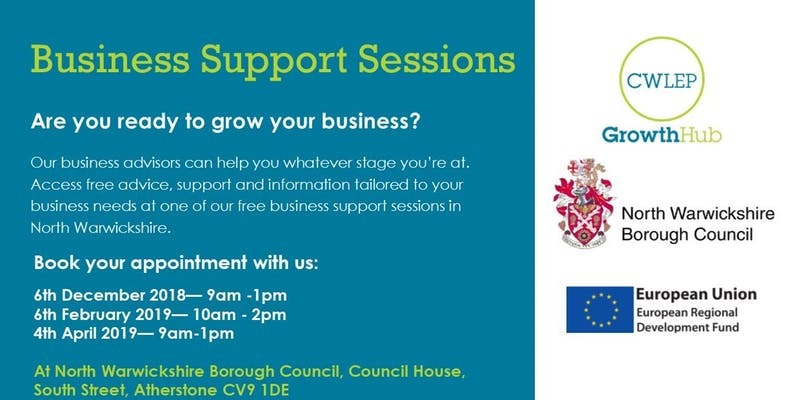 Sessions are part funded through the European Regional Development Fund (ERDF); as such these events are free for all SME's in Coventry & Warwickshire.